Happy Monday everyone!!!! Here’s a look at some of my favorite outfits I’ve worn lately but that I haven’t had a chance to photograph yet. I’m still trying to figure out life with a toddler and a newborn, there are just not enough hours in the day! 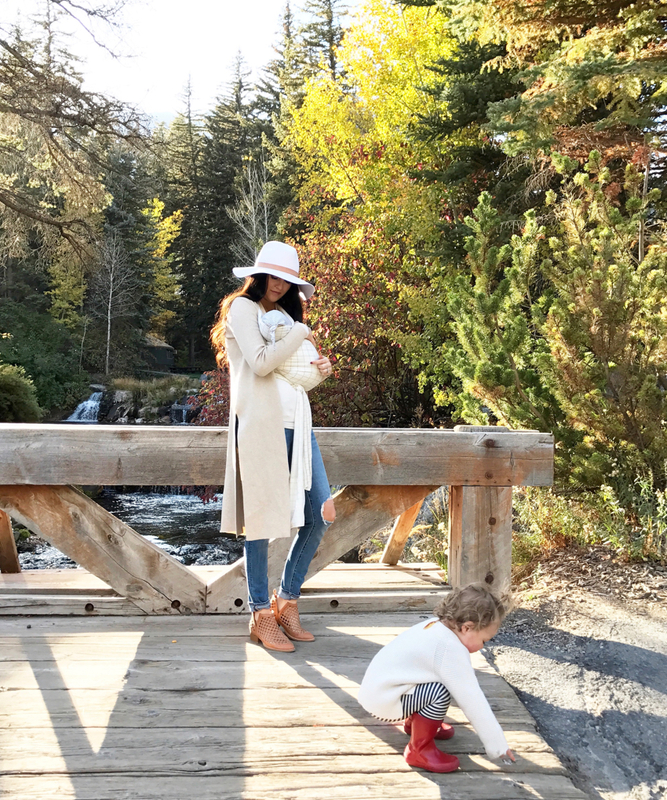 Love all your chic and cozy fall outfits! Hey Rachel, I’ve been following your blog for years now and I’ve always loved how bright yet colorful your pictures are. I was hoping you can do a post on how you edit your pictures. Great post! It’s always nice to get s glimpse of your IG life. Oh my gosh YES! I’ve been waiting for an instagram roundup, thank you so much girl!! I love every one of your outfits. These are all cute outfits! Thank you for linking the pink sneakers! Been wanting them! So obsessed with those pink sneakers!! Your pink ASOS sweater is so great!! JUST LOVE THE PINK SWEATER!!! Love those Adidas sneakers! So cute! I love all your sweaters and Isla’s little rainboots! I can’t believe you’re already a mother of two!! I remember when it was just you and the hubby. Time flies! I love all of your instagram posts! 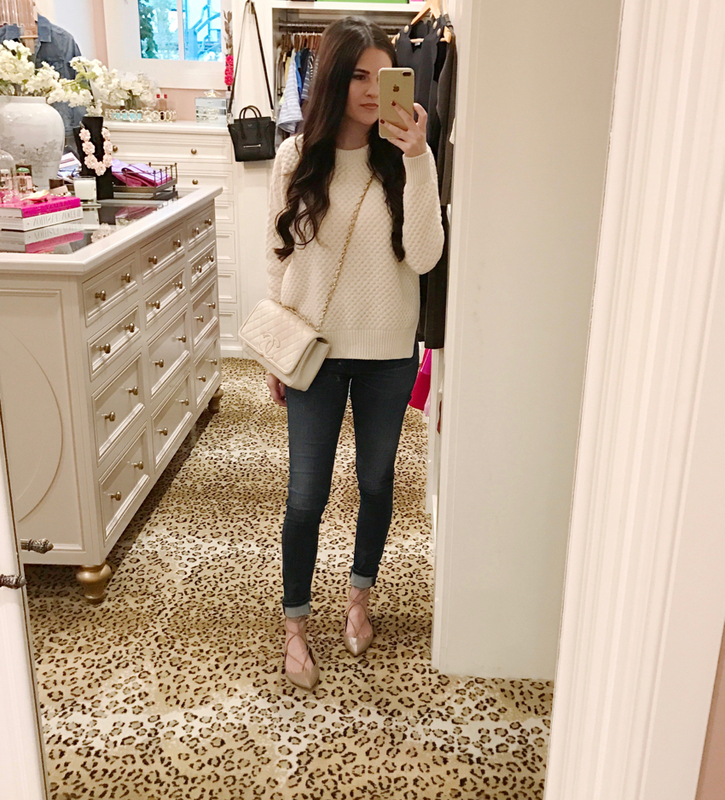 I loved this outfit roundup! I love the sweater and jacket in the first outfit so much because they’re so perfect for fall. 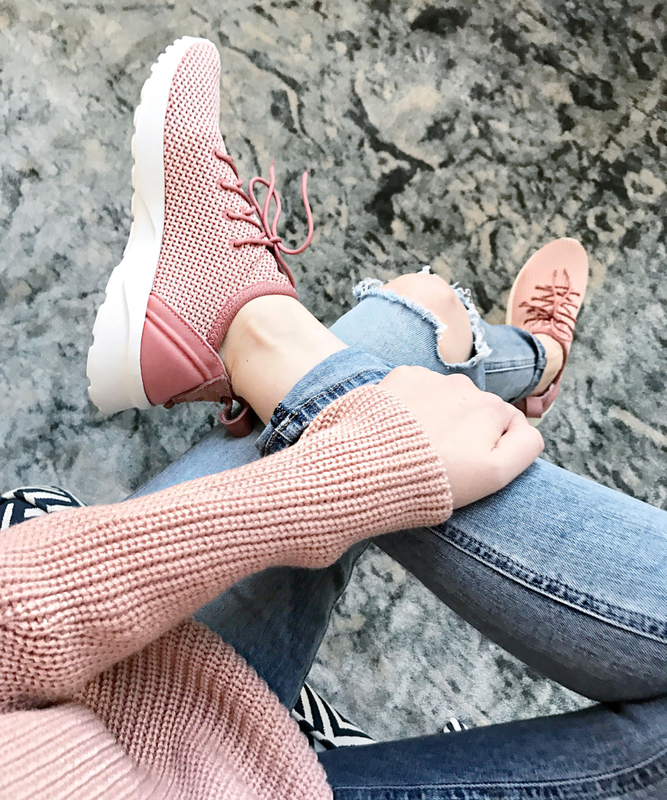 I love the blush pink nikes and sweater combo! Thank you! I love that blush pink color. It’s one of my favorite colors for the season! I love the last outfit, especially the hat. 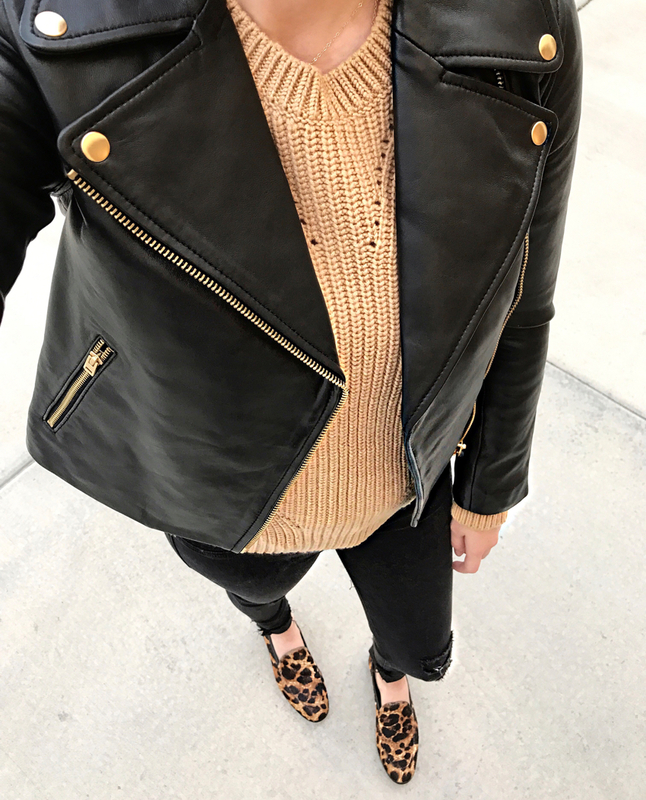 Love your leather jacket!! Definitely a must this fall! I love those leopard print loafers & that pink on pink look is gorgeous! I love those pink sneakers!!! I love all of these looks, but I am seriously eyeballing those pink Adidas sneakers! Omg LOVE them. I LOVE those leopard loafers. I snagged them for 40% off a few weeks ago and looks like they are already sold out!